Dreams are stories we experience while we are sleeping. They can be filled with different emotions, sometimes vivid or hazy and confusing. They can be our source of inspiration that triggers our ambitions or a ticket to a forgotten past that allows us to experience a memory with a lost loved one. 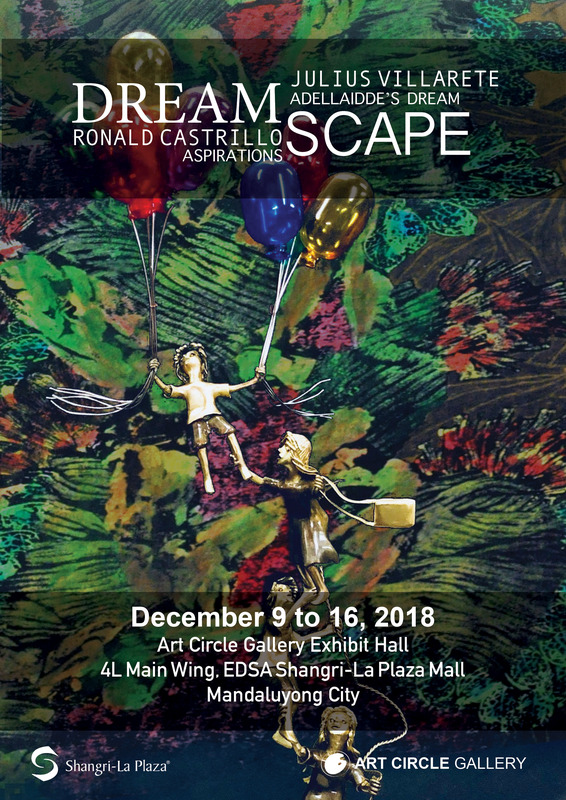 From the soft romantic tones of Julius Villarete to the solid forms of Ronald Castrillo, Dreamscape takes you on a ride that opens one’s imagination.